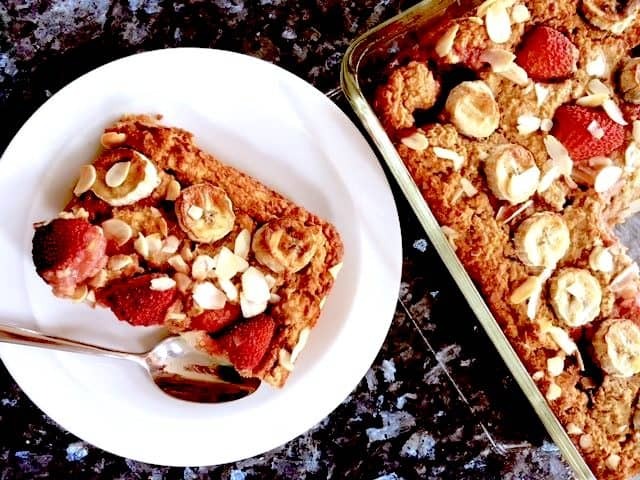 Even though this banana, berry and peanut butter oats bake sounds like a mouthful, it is really quick and simple to make—it only takes 10 minutes to prep and then you have FOUR breakfasts all ready and waiting! For those of you who don’t have time to sit down to eat in the mornings, this is the ideal breakfast as it can just be popped into a tupperware and eaten at your desk or even in the car! The good news is that this is really filling because of the slow-release oats, plenty of fruit, and protein from the eggs so it should easily keep you full until lunchtime and ward off those hunger pangs….or it could even make a great dessert. Preheat oven to 200 degrees Celsius or between 375 and 400 degrees Fahrenheit. Abigail Booth (BSc Hons) is a BHC grad, certified Health and Wellness Coach and creator of Vitality Health Coaching based in the U.K. Early on in my life I knew that I wanted to help people so I studied for a degree in Psychology but after completing it I ended up using my skills in a different arena. I then spent 18 years working in people Management in a corporate environment in which the most rewarding part was coaching the people I worked with to become the best versions of themselves. At numerous points throughout my career I have dabbled in the idea of working in health and nutrition but making big changes like that are scary. I finally took the plunge in 2015 and decided to pursue my dream. 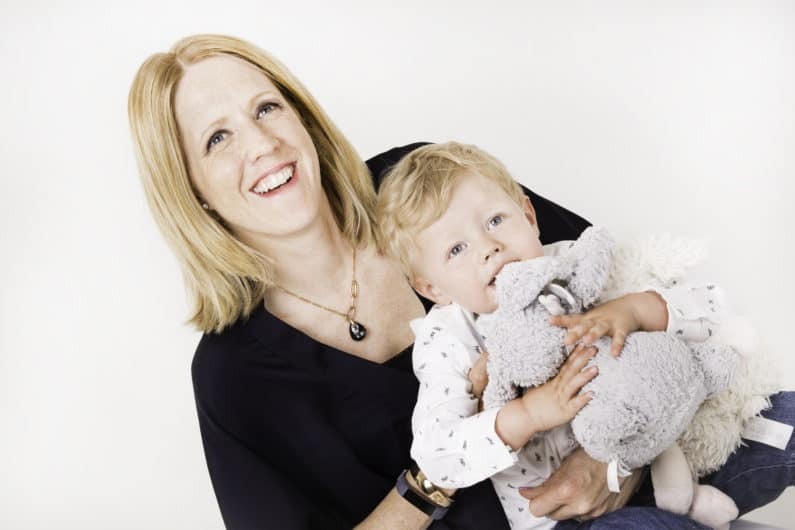 I know how difficult it can feel sometimes…trying to juggle the demands of a career, family, home and if you’re lucky a social life….not having enough hours in the day to feature looking after yourself at all! That’s why I absolutely love coaching. It gives me a real buzz, a real sense of achievement and pride when clients achieve their goals and lift that fog that they have been carrying around and realise that there is an easy answer. And I get results! I can’t promise you that your life will become any less busy but I can promise you that I will help you to become healthier, happier with your body and full of energy once more, and that you will have all the tools you need to manage your life and keep it this way.